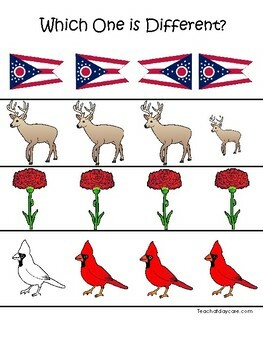 Ohio State Symbols themed Which One is Different Preschool Math Game. Ohio State Symbols themed Which One is Different Game. 1 game board.